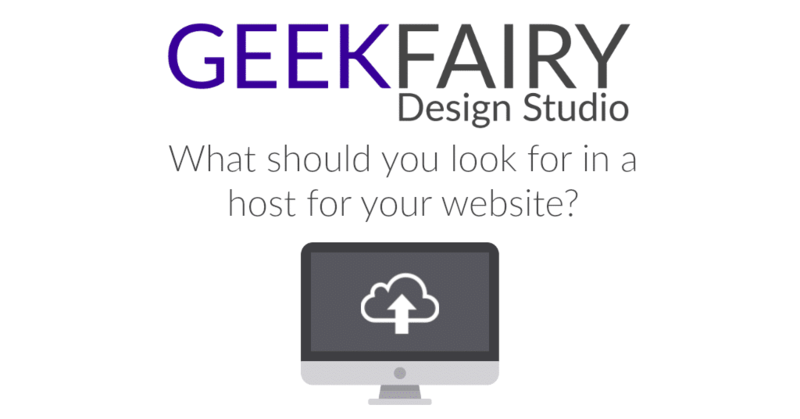 What should you look for in a host for your website? When people Google website hosting, or click on an ad on Facebook they can be met by lots of options, and it can be very confusing as to what you need. Generally with good hosting you won’t need to contact them often, your site will have 100% (or as near to) up time, and there will be no security issues. But if things do go wrong, you get hacked, your site is down, problem with your SSL certificate you need to have good support. I am based in the UK and for me I want to be able to have UK based support, and to talk to people who have more knowledge than me. Do they have a 24/7 freephone number, that you can talk to someone very quickly? Or even better do they have a chat facility that is answered quickly. And do they answer support tickets within an hour? That is the kind of support you need. Not left hanging on the phone for an hour on hold. All hosts will tell you they are secure, but many have big problems with sites getting hacked. They will always deny the issue is their end, but have a Google, look on forums, and ask around. It becomes quite clear some hosts are far more secure than others. Meaning it is less likely your site will be hacked. Some hosts won’t allow you to upgrade your PhP version (GoDaddy on some packages) without moving to a much more expensive package, this is ridiculous as an old php version is a security risk and performance issue. For some people speed would be number 1 on the list, and it is very important, but not as important as support and security. A slow site that works is better than a hacked site that doesn’t and you can’t access any help. Again all hosts will make promises about speed, but ask around and you will get a real answer. Most hosts offer a CPanel for hosting now, so you can go in yourself and set up email, add a WordPress install, and see your files. Some hosts only offer a very basic dashboard. There is no point buying a package with a vast amount of storage if you don’t need it, get advice away from the host on what you need for storage. Important things to look out for are email hosting size, free regular backups, free SSL certificates, free site transfers, how many sites can you have on the hosting, extra apps and pluigns for cache. I recommend them to clients who want to purchase their own hosting, and I use them for new clients who want to host through me.